Updates to Karen Ann's profile since your last visit are highlighted in yellow. Working for DARS, Division for Blind Services for almost 20 years. Finally realized my high school dream and went to Paris last year. Still doing my art work, watercolor and pastel. 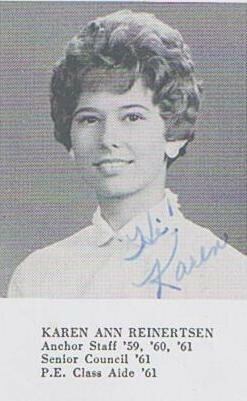 Karen Ann Reinertsen Tiller has a birthday today.